Keeping your diabetes under control will help you prevent heart, nerve, kidney, and foot problems. Type 2 diabetes is very preventable, with around nine in ten cases avoided by keeping your individual weight under control using measures such as exercising more, eating a healthy diet, and not smoking. Type 2 diabetes has been a major focus for medical research and for a good reason. According to the American Diabetes Association, more than 24 million Americans have type 2 diabetes, with approximately six million of them not knowing they have the disease. It is the seventh leading cause of death in the United States, responsible for nearly 70,000 deaths every year. Baker IDI Heart and Diabetes Institute researchers estimate that the worldwide prevalence of type 2 diabetes to be 285 million in 2010 and 439 million people with the disease by 2030. Check your risk for diabetes. The first step in preventing diabetes is knowing how susceptible you are to the disease. Visit your doctor for an examination to see if you are at risk. Individuals have different diabetes risk factors including the following: Obesity or being overweight, impaired glucose tolerance, insulin resistance, ethnic background, high blood pressure, history of gestational diabetes, sedentary lifestyle, family history, and age. Different combinations add together to give a different measure of risk for each individual. Manage your weight. One of the largest risk factors for type 2 diabetes is obesity. Excess belly fat can increase the body’s resistance to the hormone insulin. Insulin regulates the metabolism of carbohydrates and fats. Be more physically active. Exercise can help you manage your weight, lower your blood sugar, and enhance insulin sensitivity. Refrain from sugary drinks and drink plenty of water, tea, or coffee instead. Sweet foods can spike and crash your blood sugar levels. The Nurses’ Health Study II showed that women who drank one or more beverages with added sugar per day had an 83% increased risk of type 2 diabetes, compared to women who drank less than one beverage with added sugar per month. Another study shows that children and adults who drink beverages with added sugar are more likely to gain weight than individuals who do not. Select the right fats. Fats may have a bad reputation, but there are some fats that are beneficial. There are also fats that you should avoid at all costs. Healthy fats, like polyunsaturated fats, are found in vegetables, nuts, and seeds, and fight type 2 diabetes. On the other hand, trans fats, found in margarines, packaged baked goods, fried foods, and foods with “partially hydrogenated oil,” could increase your risk for diabetes. Stop smoking. A systematic review of 1.2 million participants showed that smokers are around 50% more likely to develop diabetes than nonsmokers. Heavy smokers (individuals who smoke more than 20 cigarettes or more per day) have an even higher risk. Eat less salt. Be sure to eat more fruits and vegetables and eat less added salt as part of a diet for type 2 diabetes prevention. Check in with your healthcare physician regularly to record your progress. As you get older, it is ideal that you regularly check your blood glucose, blood pressure, and blood cholesterol levels. American Diabetes Association. (2013). Economic costs of diabetes in the US in 2012. Diabetes Care, 36(4), 1033-1046. Chan, J. M., Rimm, E. B., Colditz, G. A., Stampfer, M. J., & Willett, W. C. (1994). Obesity, fat distribution, and weight gain as risk factors for clinical diabetes in men. Diabetes care, 17(9), 961-969. Chipkin, S. R., Klugh, S. A., & Chasan-Taber, L. (2001). Exercise and diabetes.Cardiology clinics, 19(3), 489-505. Mozaffarian, D., Katan, M. B., Ascherio, A., Stampfer, M. J., & Willett, W. C. (2006). Trans fatty acids and cardiovascular disease. New England Journal of Medicine, 354(15), 1601-1613. Risérus, U., Willett, W. C., & Hu, F. B. (2009). Dietary fats and prevention of type 2 diabetes. Progress in lipid research, 48(1), 44-51. Schulze, M. B., Manson, J. E., Ludwig, D. S., Colditz, G. A., Stampfer, M. J., Willett, W. C., & Hu, F. B. (2004). Sugar-sweetened beverages, weight gain, and incidence of type 2 diabetes in young and middle-aged women. Jama,292(8), 927-934. Shaw, J. E., Sicree, R. A., & Zimmet, P. Z. (2010). Global estimates of the prevalence of diabetes for 2010 and 2030. Diabetes research and clinical practice, 87(1), 4-14. Sigal, R. J., Kenny, G. P., Wasserman, D. H., Castaneda-Sceppa, C., & White, R. D. (2006). Physical activity/exercise and Type 2 diabetes A consensus statement from the American Diabetes Association. Diabetes care, 29(6), 1433-1438. Willi, C., Bodenmann, P., Ghali, W. A., Faris, P. D., & Cornuz, J. (2007). Active smoking and the risk of type 2 diabetes: a systematic review and meta-analysis.Jama, 298(22), 2654-2664. Ackermann, R. T., Marrero, D. G., Hicks, K. A., Hoerger, T. J., Sorensen, S., Zhang, P., ... & Herman, W. H. (2006). An evaluation of cost sharing to finance a diet and physical activity intervention to prevent diabetes. Diabetes care, 29(6), 1237-1241. Feili-Hariri, M., Falkner, D. H., Gambotto, A., Papworth, G. D., Watkins, S. C., Robbins, P. D., & Morel, P. A. (2003). Dendritic cells transduced to express interleukin-4 prevent diabetes in nonobese diabetic mice with advanced insulitis. Human gene therapy, 14(1), 13-23. Williams, M. M., Clouse, R. E., & Lustman, P. J. (2006). Treating depression to prevent diabetes and its complications: understanding depression as a medical risk factor. Clinical Diabetes, 24(2), 79-86. American Diabetes Association. (2002). 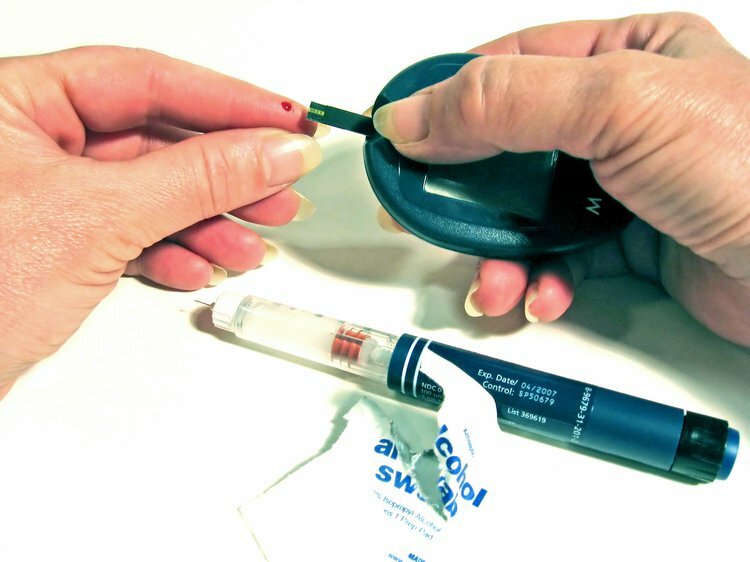 The prevention or delay of type 2 diabetes. Diabetes care, 25(4), 742-749. Wylie-Rosett, J., Herman, W. H., & Goldberg, R. B. (2006). Lifestyle intervention to prevent diabetes: intensive and cost effective. Current opinion in lipidology, 17(1), 37-44.